This article will explore new research of that paints a fascinating picture of natural meniscus healing, surgical and non-surgical meniscus repair, and when Stem Cell Therapy (Bone Marrow Aspirate Concentrate) may or may not work for your meniscus tear. We will also discuss the role of comprehensive Prolotherapy in not only treating the meniscus but the articular knee cartilage as well. If you are considering meniscus surgery or already had meniscus surgery, this article will provide some good information in understanding your injury and what to expect from surgery and what to expect from stem cell Prolotherapy. The meniscal tear treatment path traditionally begins with conservative measures such as physical therapy and referral for operative management for persistent or mechanical symptoms. This leads to partial meniscectomy which is performed more than any other orthopedic procedure in the United States. This meniscal tear treatment, however, has shifted because recent literature has supported the attempt to preserve or repair the meniscus whenever possible given its importance for the structural integrity of the knee joint and the risk of early osteoarthritis associated after meniscus tissue is removed. There is a growing amount of evidence showing that elderly patients with complex meniscus tears and degenerative arthritis should not undergo arthroscopic surgery. Direct meniscus repair (suture) remains an option in ideal patients who are young, healthy, and have tears near the more vascular periphery (where the blood circulation is) of the meniscus but it is not suitable for all patients. Use of orthobiologics such as platelet-rich plasma and mesenchymal stem cells have shown promise in augmenting surgical repairs or as standalone treatments, although research for their use in meniscal tear management is limited. That is a good summary of probably what is going through your mind as you try to make a decision of how to treat your meniscus tear. For many, the meniscus can heal itself if you do not remove tissue. How cells in the knee work to repair meniscus tears. One of the often overlooked components of meniscus surgery is that it removes healing elements from the knee. Simply, meniscus surgery removes tissue, weakens the structure of the knee, leads to degeneration through instability and knee breakdown. To complete this assault on the knee, surgery removes healing elements within the meniscus tissue that may help the knee naturally rebuild itself. In September 2017, in the Journal of Orthopaedic Research, (2) doctors at the University of Iowa, working with researchers from the Harvard Medical School and the National Institutes of Health, looked for the healing elements in the meniscus and identified what they do. In the research above we talked about the 20% of meniscus injuries that are good candidates for surgical repair because that portion of the meniscus had healing elements. In this research, those healing elements were able to cover the whole meniscus. In essence, the injury is calling for help and the chondrogenic progenitor cells respond to begin the rebuilding process. The meniscus has its own damage control mechanism, it sits in the blood-rich portion of the meniscus. 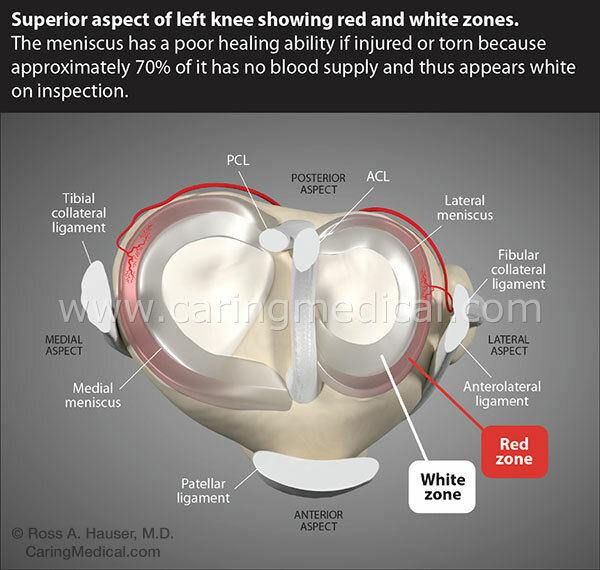 When red zone meniscus is removed, the meniscus ability to heal itself is removed with it. The Meniscus does have the capability to repair and regenerate. When we surgically remove meniscus tissue we remove the cells that can naturally repair the meniscal damage. What the doctors observed was the meniscus repair and regeneration process after the meniscectomy. After six weeks the doctors observed regenerated tissues resembled those of an intact meniscus forming. The bad news was the articular cartilage of the knee where the removed meniscus use to be. The cartilage significantly degenerated between two and four weeks after the surgical procedure, and subtle progression in cartilage degeneration was observed between 4 and 6 weeks. The destructive cartilage/meniscus environment – no wonder knees hurt after surgery! The suggestion is that the meniscus was trying to heal while the knee environment was collapsing towards degenerative disease. We have new meniscus tissue at 6 weeks being crushed by progressive degenerative changes. This study requires a deeper look because it also gives us an understanding of what happens in the knee after meniscectomy. 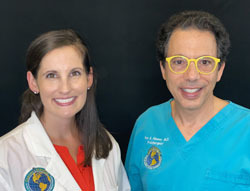 The researchers in this study performed a meniscectomy in the mice. The left anterior halves of the medial menisci in mice were removed. Then the mice were observed to see how their knee dealt with this injury. At day three: Extensive macrophagic infiltration into the synovial membrane around the meniscectomized area was observed. Explanation: macrophages are immune cells that clean up and remove debris left behind by injury. The body is removing hindrances to healing. In other words, the knee is getting ready to heal. Synovial hyperplasia was detected 2 weeks after the operation. Explanation: Synovial hyperplasia is inflammation. Healing inflammation. The synovial tissue of the knee was filled with many fibroblastic cells (collagen producers to rebuild cartilage). The articular cartilage at the interface of the resected meniscus significantly degenerated between 2 and 4 weeks after the surgical procedure, the subtle progression of cartilage degeneration was observed between 4 and 6 weeks. The degeneration slowed but continued. In this study’s summation, the immune system’s rapid response to repair the knee, not only tries to regenerate meniscus tissue damaged by the surgery but also tried to reinforce and prevent damage to the articular cartilage of the knee as if the immune system knew that the meniscectomy would cause articular cartilage. The Japanese researchers concluded that the remaining meniscus and the articular cartilage of the meniscectomized knee tried, in vain, to work together to regenerate the meniscus and protect the cartilage. The mouse meniscal stem cells had clonogenicity (the ability to survive in the hostile inflammatory environment and reproduce) and multi-potentiality (the ability to change and signal multiple types of healing mechanisms). They had the ability to create important extracellular matrix components of an adult meniscus. Please see my article on extracellular matrix and joint healing for fascinating new research. Stem cell therapy, used in conjunction with dextrose Prolotherapy is a non-surgical regenerative treatment that stimulates natural healing repair in the knee. The goal of the treatment to rebuild tissue and provide stability to the knee. 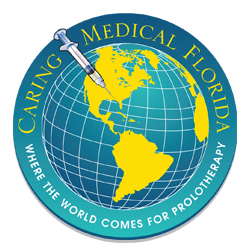 Stem cell Prolotherapy is the combined use of your own harvested stem cells and dextrose Prolotherapy to treat the entire knee environment. That question was seemingly answered in accompanying press release from the American Academy of Orthopaedic Surgeons’ press department. Not all meniscus tears and injuries (even that after meniscus surgery) require stem cell therapy to heal. 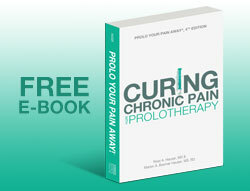 We have documented in numerous studies that simple dextrose Prolotherapy has a 90% success rate in our office. 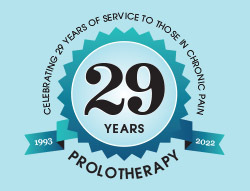 However, for cases of advanced meniscus and related cartilage damage, our team of Prolotherapy practitioners may choose to use stem cell injections in combination with dextrose Prolotherapy to strengthen and stabilize the surrounding support structures of the knee. This is also covered in my article Why didn’t stem cell therapy work for my knee pain? Where I describe stem cell therapy failure because a single injection does not treat the whole knee. 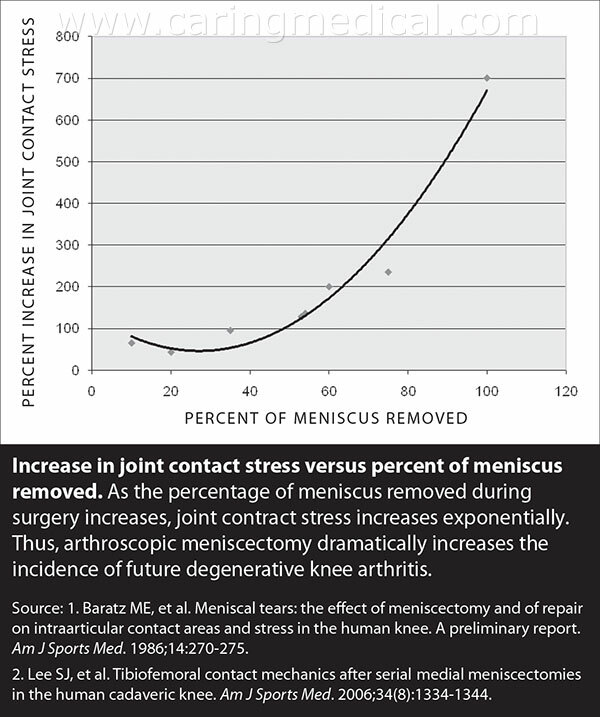 Meniscus damage is a whole knee disease as outlined in the research above. Then they examined a total of 54 studies investigated the effects of mesenchymal stem-cell products for joint conditions including anterior cruciate ligament, meniscus, and chondral lesions as well as osteoarthritis. In 22 studies, cellular products were injected intra-articularly, whereas in 32 studies mesenchymal stem-cell products were implanted during surgical/arthroscopic procedures. The heterogeneity of clinical conditions, cellular products, and approaches for delivery/implantation make comparability difficult.